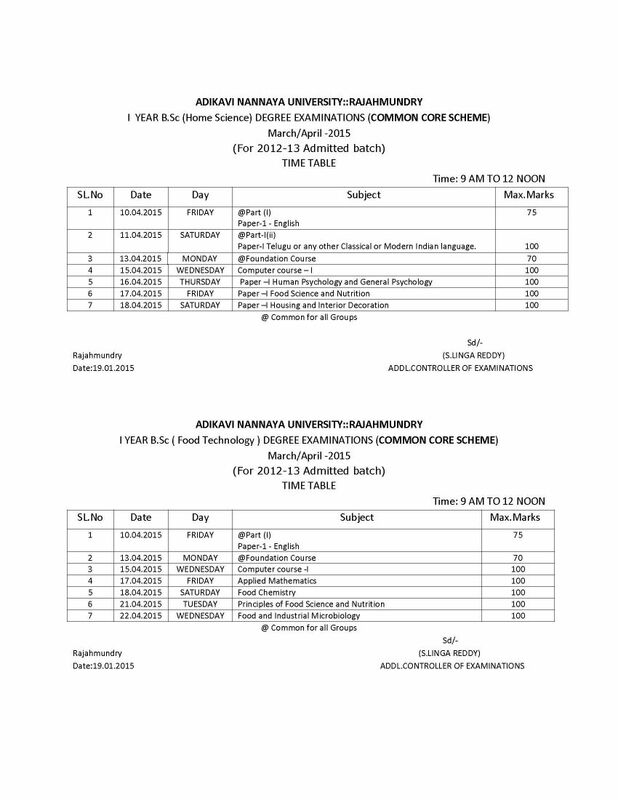 Will you tell me how I can get exam timetable of 2nd Degree Exam of Adikavi Nannaya University? 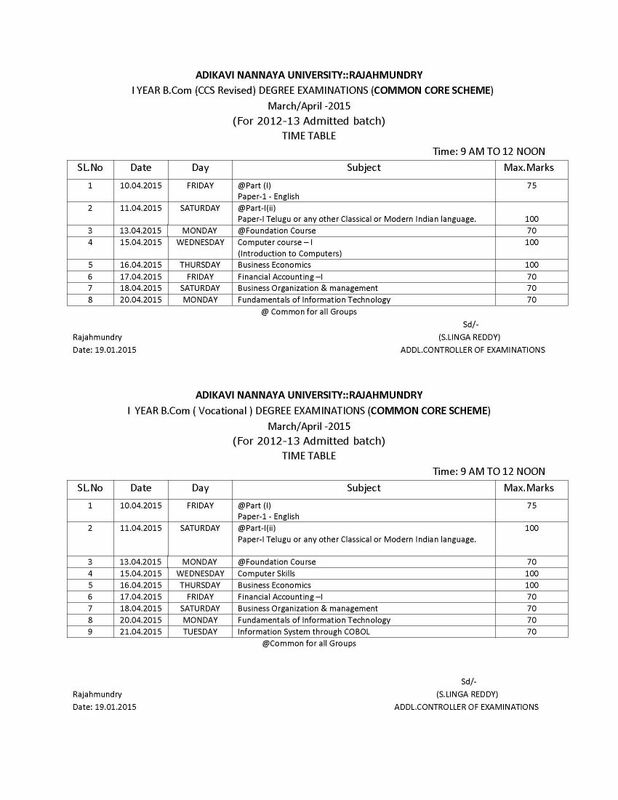 As you want I am here telling you process to get exam timetable of 2nd Degree Exam of Adikavi Nannaya University. 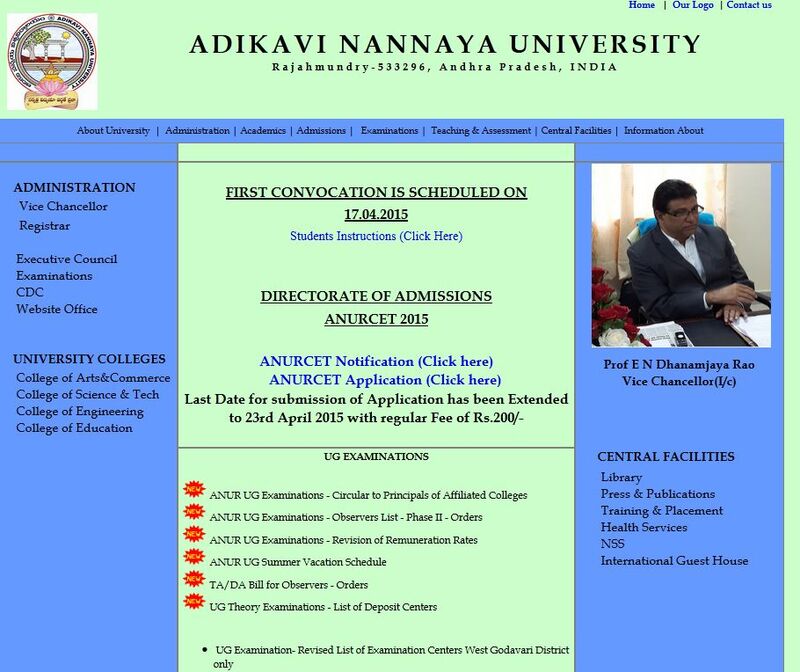 Visit official website of the Adikavi Nannaya University. here you get UG examination section at mid of the page . 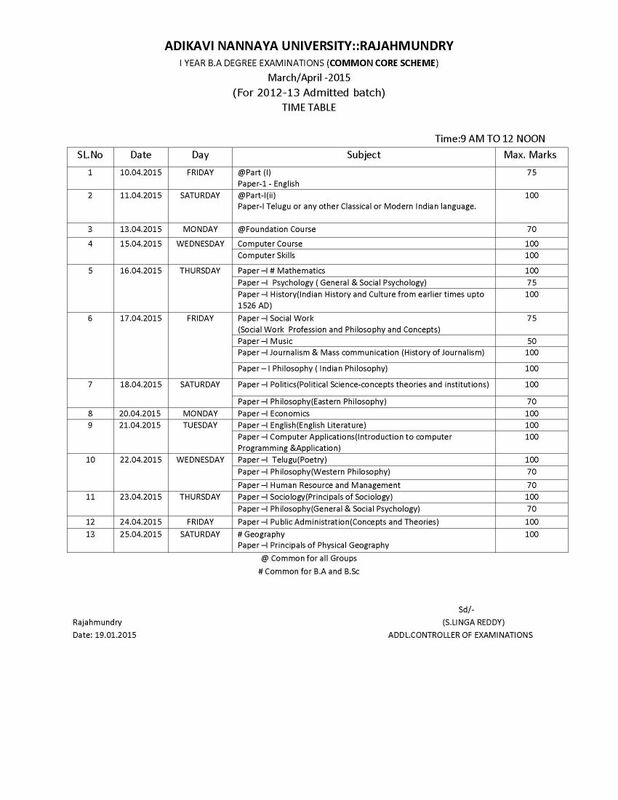 In section you get link related to exam time table. From that link you can get the exam time table . 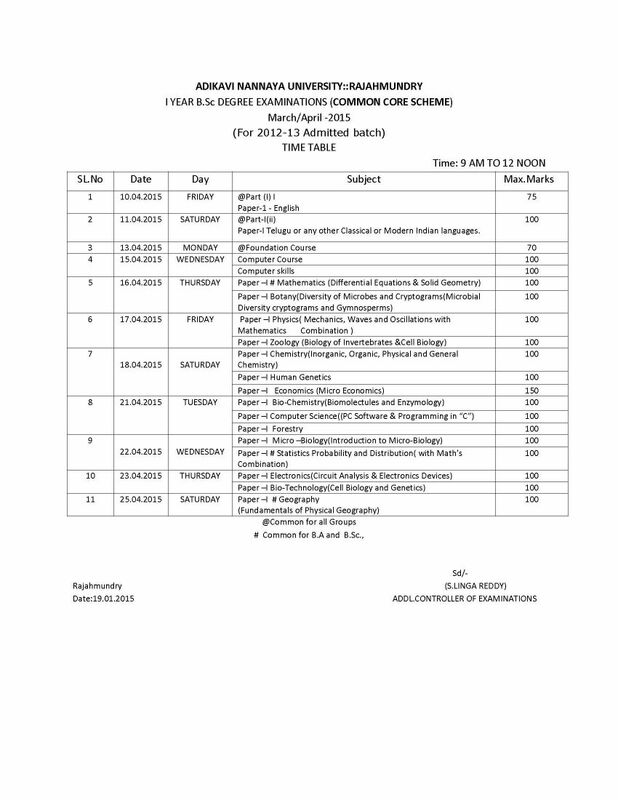 Like you click on Examination Time Tables March/April 2015 - Common Core Scheme ( I Year, II Year and III Year) link and download the exam time table.